The quest for a more perfect democracy continues to this day. I believe that the essence of voting rights and the core value of the fight for voting rights, not only for black people but for all people, is that we all must have the right to vote in all phases of the election process regardless of our party affiliation, or lack of one, and that no one should be required to join a political party as a precondition for voting. It has never made sense to me that the political parties get to decide who can vote and who cannot vote, who is on the ballot and who is not on the ballot, who can appear in the televised debates and who does not appear in the debates and what and how issues are brought forward into the public dialogue. 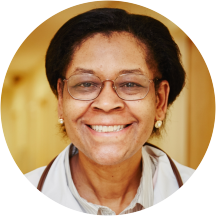 I have been a primary care physician in Harlem for many years. From 1944 until last month’s election, Harlem had only two congressional representatives: Adam Clayton Powell Jr., who served from 1945 to 1971, and Charles Rangel, who had served since 1971. It is an undeniable reality that a community that has the highest asthma rates in the country, some of the most entrenched poverty and worsening access to truly affordable housing, among other issues, has not had a way to demand accountability from those elected to serve it and has been politically marginalized by one-sided elections with low voter turnout. So how do we increase voter participation and make elections more competitive? My most basic answer is that having a system with no barriers to voting is the way to increase voter participation. That’s why I believe that nonpartisan elections in which all voters can vote in every round of voting is a crucial next step in increasing voter participation in New York and throughout the country. Allowing all registered voters to vote among all the candidates in the first round, with the top two vote-getters going on to the general election, creates more competitive elections. It is a simple equation here. Competitive elections give you a shot at increasing turnout. When Michael Bloomberg served as mayor, there were several attempts to bring this reform to New York City. It was an intense battle in which the political parties and almost all of the New York City political establishment vehemently opposed a ballot initiative for nonpartisan elections, and it was defeated. Much has changed since those early battles. More and more Americans are choosing not to affiliate with a political party — 43 percent of Americans now identify as independent voters, including 50 percent of millennials and many young people in general. Many of them worked on Sen. Bernie Sanders’ presidential campaign, but when they went to the polls in New York state to vote for the candidate they had been canvassing, phone calling and petitioning for, they were turned away and not allowed to vote despite the fact that everyone’s tax dollars pay for these elections. Nationally, closed presidential primaries cost taxpayers a quarter of a billion dollars this year and excluded 26.3 million voters, including more than 2 million African-Americans. This is the biggest form of voter suppression in the country. Indeed, 3.2 million independent, third-party and unaffiliated voters were shut out of voting in New York’s primaries this year. Consider that only 19.7 percent of eligible New Yorkers cast a ballot in the presidential primary and it becomes clear we have a crisis. It is not a crisis that will be solved with well-intentioned get-out-the-vote measures alone. Nonpartisan, open primaries set a context for a new way of doing politics. If we want to bring people together and increase voter participation, we must dismantle the structures that keep them apart.